We love when packaging makes makeup easy to apply. Max Factor Vivid Impact Eyeshadow Duos allow you to use really intense eyeshadows without having to worry about mistakes. 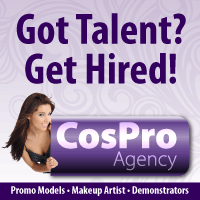 The dual sided eyeshadow tube gives you the perfect amount on the applicator every time so there is no mess. 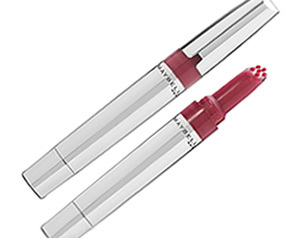 It’s no surprise that it’s the 2009 winner of the Life & Style Best of Beauty Award and the Star Superstar Beauty Award. This shadow is also easy to blend and layer; our favorite shade was 180 Emerald Coast. Stock up now, Max Factor products will not be sold in the United States anymore starting next year! 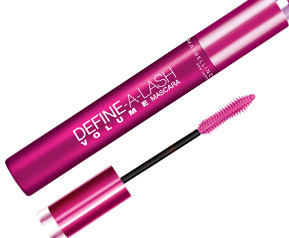 If only all mascara tubes were the same as Maybelline Define-A-Lash Volume Washable Mascara! The innovative tube makes it so the brush has the perfect amount of mascara, so you can keep adding layers without getting clumps. Best of all, when you wash your face at night you don’t have to scrub your eyes or use elaborate makeup removers. This mascara comes out with regular soap and water. The mascara brush is especially shaped to help you define even the smallest lashes. 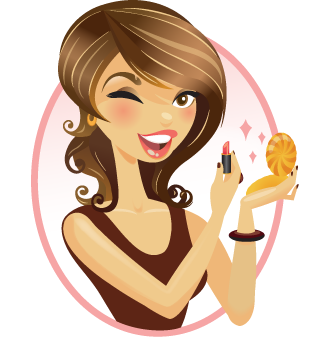 Tip: When using an eyelash curler, one squeeze as close to the base of the lashes as possible is all you need. Max Factor (Maximilian Faktorowicz) was one of the first movie set makeup artists in the 1920’s, and created a line of cosmetics that has flourished for over 100 years. 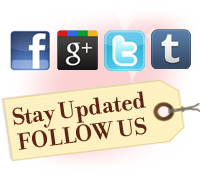 However, MaxFactor will no longer be on U.S. store shelves starting January 2010. 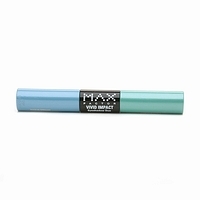 To avoid the shipping costs of buying Max Factor from overseas, you should stock up now. 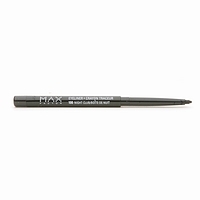 One of our favorite must haves from Max Factor is the MAXeye Liner in shade 100 Night Club. 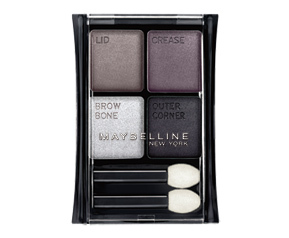 No smoky eye is complete without a dark eyeliner, and with this one you get a true black with one stroke. This pigment rich eyeliner is also self sharpening; you don’t have to lug a sharpener around in your makeup bag. We will miss seeing Max Factor in stores in the U.S., but fortunately, it’s a top seller in countries such as the United Kingdom and Russia.